Pass the letters out. Call a color. 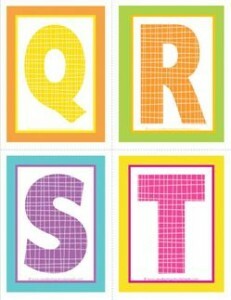 Kids with that color have to tell you the name of the letter – including these medium alphabet letters QRST.